Annette Owens is a leading Disney vacation planning guru. 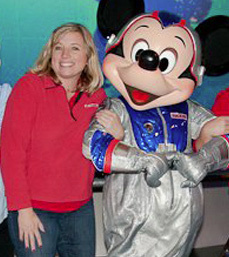 For several consecutive years she has escorted a large group of guests to MouseFest, providing special events such as a private party at the Adventurer’s Club, and private viewing experiences. She specializes in family, incentive, and leisure groups as well as expertly servicing the needs of the individual family or traveler. Annette is a true Disney and cruise fan in general. With almost 75 personal visits to Walt Disney World, 14 Disney Cruises and a couple of trips to Disneyland – she can truly help you with all your Disney planning needs as well as assisting with other cruise and vacation destination planning. She also is a frequent guest on the WDW Today podcast.